I really like Kahlua and was a bit concerned when they started making the Kahlua spices line (like Vanilla, Peppermint Mocha and the most recent addition of Cinnamon). But, I have to admit that I shouldn’t have been. Kahlua has done an amazing job with its Kahlua spices line and its newest addition is no exception. Its most recent entrant is a lovely combination of Kahlua (that really yummy mocha flavor) with a touch of cinnamon. I was a tad worried that the cinnamon would overwhelm the Kahlua (as cinnamon is sometimes want to do). But, it didn’t do that at all and instead added a nice spiciness and complexity. For those of you uninitiated in the Kahlua lore, Kahlua began in 1936 when a distiller in Veracruz added local coffee beans to his rum. And, so the yummy began. In 1964, Kahlua started exporting its product into the United States and the rest is history. 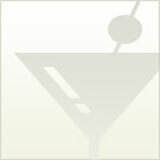 Today, Kahlua is one of the most popular liqueurs in the world and for good reason. Visually, clear with a medium plus, dark brown color. On the nose, medium intensity of coffee, cocoa, brown sugar, cinnamon, allspice, cloves and a hint of vanilla. On the palate, medium intensity of coffee (most dominant flavor), cocoa, brown sugar, cinnamon, allspice and vanilla. Medium minus finish. Body is very viscous but has a nice texture on the palate. The Kahlua keeps the sugar and sweetness in check with a subtle hint of cinnamon. Medium plus finish. 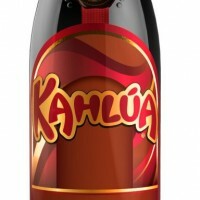 Kahlua is great in cocktails, desserts (try a Kahlua cheesecake or creme brulee) or your favorite hot drink. For a great cocktail, substitute Kahlua Cinnamon Spice in the Kahlua Black Cat or the Kahlua Hot Chocolate.